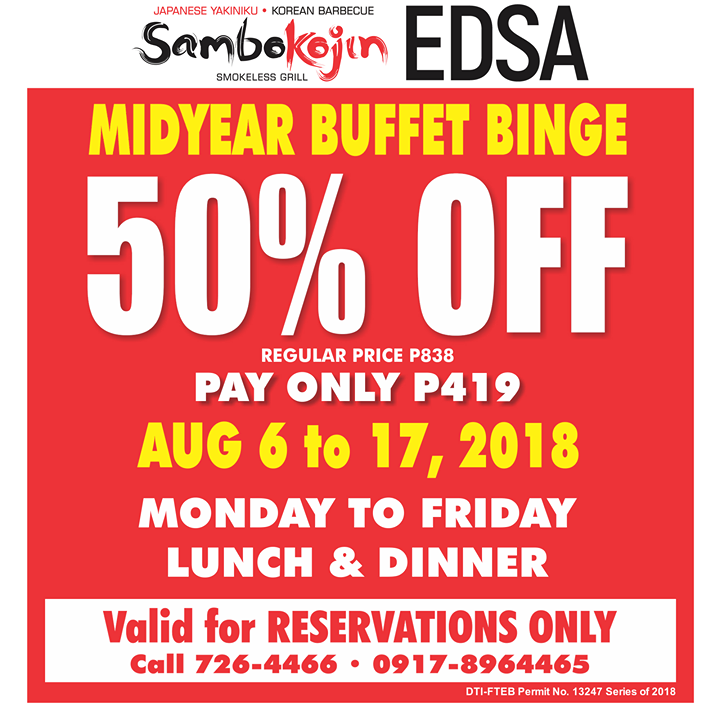 The Midyear Buffet Binge is happening at DADS WORLD BUFFET, and SAMBO KOJIN EDSA from August 6 to August 17, 2018. Pay only P469! This is valid for reservations only by calling them, or dropping by the branch. 1. Reservation required at Dads World Buffet EDSA. MONDAY TO FRIDAY LUNCH and DINNER. 2. Diners with a confirmed reservation at Dads World Buffet EDSA are entitled to a 50% discount on the regular price of P938.00. Pay only P469.00 per person. 4. To claim the discount, the number of guests in the reservation must be complete. Discounts will not be applied if the number of guest are incomplete. 5. 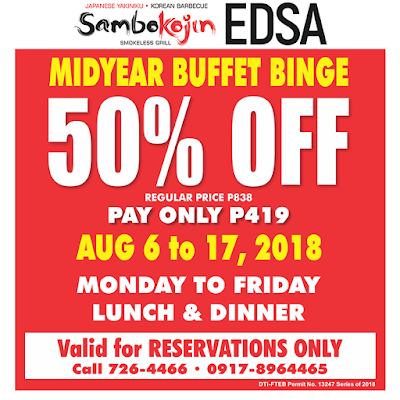 Promo Period: August 6 to 17, 2018. 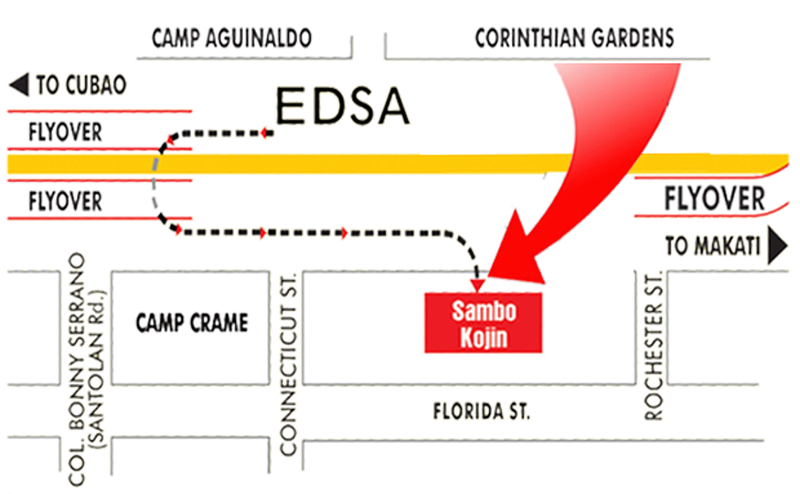 - Dads World Buffet numbers for Reservation: 02-7051807 or 0917-8988124. Reservations will be confirmed via text or email. - A minimum of 30 minutes lead time is allowed for accepting reservations. Reservation times will be strictly followed. Reservation is subject to availability. “In the purchase of goods and services which are on promotional discount, the senior citizen and PWD can avail of the promotional discount OR the discount provided under the Expanded Senior Citizen Act of 2010, whichever is higher”.